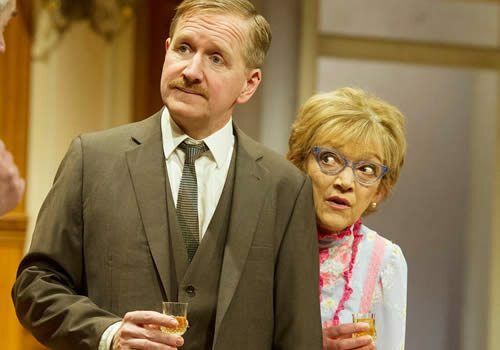 Following a critically-acclaimed run at the Theatre Royal Haymarket, Alan Ayckbourn’s beloved comedy How the Other Half Loves transfers to the Duke of York’s Theatre for an extended run. 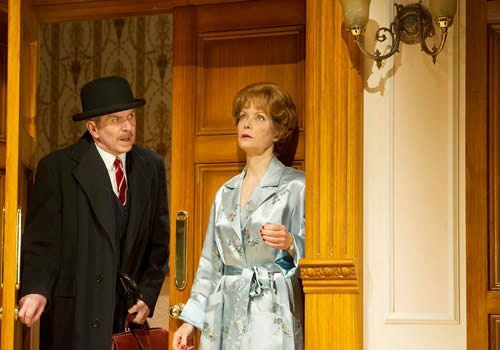 First written in 1969, How the Other Half Loves ran for a successful 869 performances at the Lyric Theatre, later becoming Ayckbourn’s first play to open on Broadway. A farcical tale of marital misunderstandings, How the Other Half Loves is currently booking until October 1st 2016. Directed by Alan Strachan, How the Other Half Loves is a classic comedy of errors that revolves around two separate dinner parties. 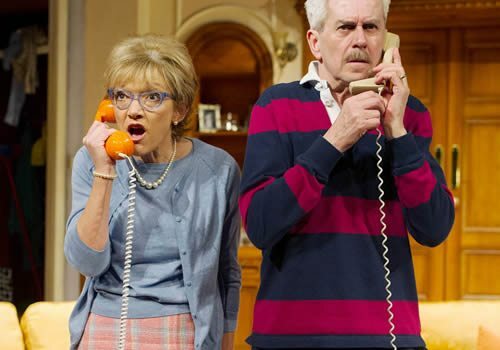 Whilst Frank and Fiona Foster share a distant relationship, Bob and Teresa Phillips are constantly arguing. Little do they know that they are engaged in affairs – with each other! Swearing their partners to secrecy, the couples both implicate the unknowing Featherstones, not realising that this will lead to a disastrous but hilarious climax. How the Other Half Loves stars Nicholas Le Prevost (People, Bedroom Farce) as Frank Foster, Jenny Seagrove (Absurd Person Singular, Judge John Deed) as Fiona Foster, Jason Merrells (Emmerdale, Waterloo Road) as Bob Phillips, Andrea Lowe (DCI Banks) as Teresa Phillips, Gillian Wright (EastEnders) as Mary Featherstone and Matthew Cottle (Citizen Khan) as William Featherstone. Produced by Bill Kenwright, How the Other Half Loves features costume design by Julie Godfrey. 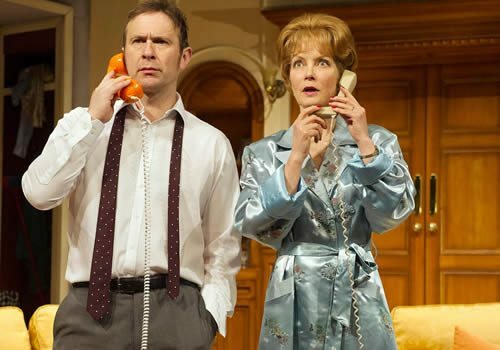 2016 marks Alan Ayckbourn’s 57th year as a playwright, with over 80 plays under his belt. 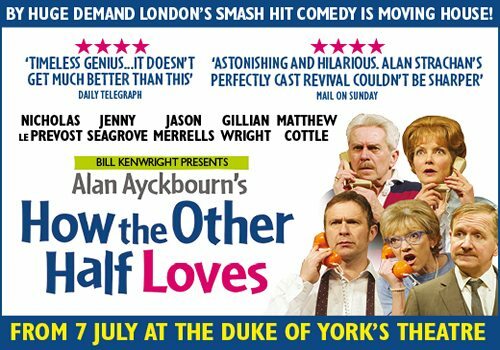 How the Other Half Loves opened at the Duke of York’s Theatre London on July 7th and is currently booking until October 1st 2016. How the Other Half Loves is not suitable for young children.